It was English eightball pool that I eventually decided to focus on but I also played snooker and was an avid fan of the game in the period throughout the 1980s when Steve Davis was in his pomp, and then in the 1990s when Stephen Hendry firmly established himself as the best player to ever play the game. Even now if a tournament is on TV it takes all my will power not to sit down and watch it and forget about anything else. Like my wife. Or eating. The man largely responsible for this ongoing love affair was a player from Belfast who won his first world title in 1972 then won his second amid emotional scenes where he was joined on stage at The Crucilble in Sheffield by his wife and child in 1982. The man was Alex 'Hurricane' Higgins and to this day I have to see a player with such natural ability or vision in cue sports of any discipline. Living as a Higgins fan was sometimes a tough existence. Just as he was capable of shots and breaks of breath-taking brilliance, he was also capable of missing the easiest of shots or self-destructing through a combination of booze and a fiery temper. Higgins lived life on a knife edge and that's also how he played his snooker. And existing as a Higgins fan was also never a good experience if you were a betting man. He did win tournaments but he was also capable of throwing away winning leads by taking on shots of such audacity that even veteran commentators were baffled. To be a Higgins fan was to put yourself firmly in the camp of the outsider fighting against the snooker establishment - an establishment, ironically, Higgins' popularity had helped turn into a huge money-making industry. The nemesis of Higgins, of course, was Steve 'Interesting' Davis and he was everything that Higgins wasn't. If Higgins easily bored of the practice table, Davis lived for it; if Higgins could be found drunk in a nightclub at 2am the day before a big match, you could be sure Davis was tucked up in bed with his cocoa by 10pm. And Davis was virtually unbeatable. But the fact that Higgins was the outsider and the bad boy and the underdog just made his victories all the sweeter. His 1982 World Championship Final victory against Ray Reardon was one of the sporting highlights of my youth, especially considering it followed his epic semi-final against Jimmy 'Whirlwind' White, a match still considered to be one of the all-time greats among snooker doyens. My favourite Higgins match, however, was the 1983 UK Championship Final when he faced Davis. I remember watching the afternoon session in patches through several TV shop windows when I was out shopping with the family. And it wasn't pleasant viewing: Davis battered Higgins with a humiliating 7-0 first-session booting. But then came the evening sessions and the street fighter in Higgins woke up and over the next three sessions he fought back to win the final and the title 16-15. It was a stunning performance and perhaps his finest moment. It was also one of his last great moments on the table as future form proved intermittent and disciplinary problems lead to an eventual suspension. Higgins then began to feature only on the front pages for drunken behaviour, various personal and relationship problems, one assault and for health-related issues such as the throat cancer that he developed in his later years. It made painful viewing. But recently Higgins had started playing again and was doing the odd exhbition and his cancer seemed beaten and his health improving. But it was only a brief respite and he died today aged 61. Davis once described Higgins as 'the only true genius that the game of snooker has ever produced' and, while that may not be strictly true, his ability to see shots and the vision of his break-building, plus a very under-rated safety game, was a stunning thing to behold when in full flight. An old mate of mine became quite good friends with Higgins for a while in the late 1990s and I had the chance to meet him. But I turned it down. Higgins was one of my heroes but I was also aware that he was a troubled man who could sometimes be very unpleasant and I didn't want to meet that man. I wanted the hero and for me that's always what Higgins was and will remain. That semi-final against Jimmy White was one of the greatest matches I have ever seen (in any sport) and in highlight form was more more like an epic heavyweight bout rather than a snooker match. I always felt for Jimmy after that match but you had to respect his opponent and the 69 break that fully deserves every piece of praise heaped upon it. 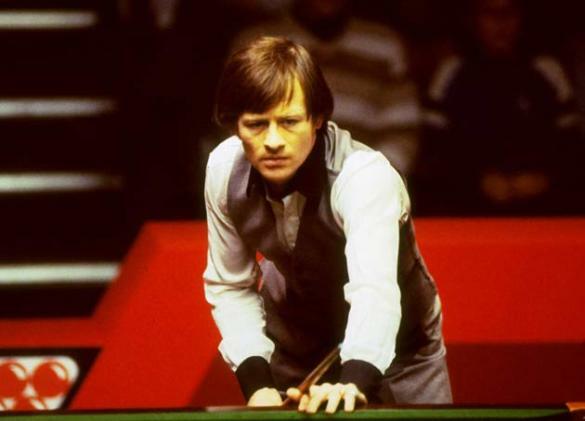 I am from the Ronnie O'Sullivan generation and will always herald him as the games greatest natural talent ... but deep down I know that he wouldn't even exist if it hadn't been for Alex Higgins.